With so many policy options and insurance providers today, you might feel a bit overwhelmed looking for the best insurance plan. Or, maybe you’re a seasoned boater who needs a little refresher on finding the best boat policies, and knowing what to look for. These guidelines can help you pick a solid insurance policy that covers everything you need for the best price available. Depending on the insurance provider, these guidelines could vary, so make sure to check with each individual provider before making a decision on boat insurance. Many times, a small boat with limited or no power is covered by your homeowner’s policy. If you have a small canoe, sailboat, or even a small motor boat, it should be covered by your homeowners insurance. If you think your boat fits these categories, check with your homeowner’s policy just to make sure. You might require more coverage depending on the size, speed, and price of your boat. Determine whether your boat is used for personal or commercial use. 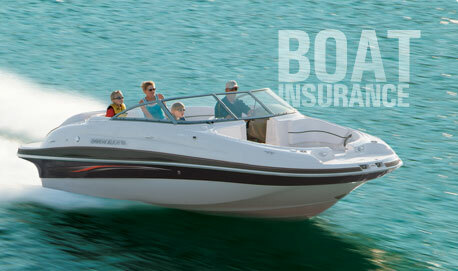 Your boat requires different insurance policies for each category. Also, is it classified as a boat or a yacht? In most cases, a boat is defined as a vessel measuring 26’ or less in size, while a yacht is anything greater than that. In general, boat insurance policies offer four different types of coverage for your marine vehicle. This will cover any physical damage to your boat, motors, trailers, and any other boating equipment. In the event of a collision with another boat or yacht, this coverage will help pay for any damages done to the other person’s property, and also helps pay for injuries sustained by the other person. This helps pay for any medical expenses incurred by you, your passengers, or anyone else hurt as a result of a collision with your boat. This helps pay for any medical expenses from an accident involving an uninsured boater. You will have to check with different insurance companies to find rates, as it varies among insurance providers. You can often save money by bundling your boat insurance with homeowners and car insurance, however. Remember, the cheapest insurance policy is not always the best. You need to find one that offers quality and comprehensive coverage at the lowest price possible. Agreed value – insurance company will pay you an agreed upon price if boat damage is severe enough to be deemed a total loss. Actual cash value – insurance company will pay you the value of your boat at the time of an incident if the boat is confirmed a total loss.